On behalf of the staff of the school I would like to wish all our children and parents a happy, peaceful safe and enjoyable Easter Vacation. Please note that when school re-opens on Monday 29th April 2019 there will be 'Breakfast Club' from 8.30am on this first morning. Also on Tuesday 30th April the St. Patrick's High School Primary 6 Day takes place. The theme is 'The Rugby World Cup,. All Primary 6 children should wear their PE Gear in on this day and bring boots with them. Dinner will be provided by St. Patrick's High School as part of the day but children should bring a snack and drink for break time. They will leave school at approximately 9.30am returning for 2.15pm. 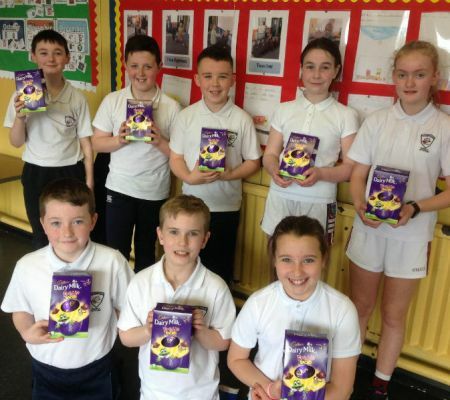 Also, After Schools Clubs will commence from Tuesday 7th May with the provisional timetable being; Monday - Sports Club (Gaelic); Tuesday - Hurling/Camogie Club; Wednesday - Gymnastics and Thursday - Soccer Club. On Friday - Guitar Club will continue as normal during the school day. This may be subject to change so please check the CLUBS section of our website for further details. Thank you for taking the time to visit our website and we hope that you are able to learn more about the life of our school community through your visit. I hope, whether you are already part of our school community or that you may be considering our school for your child, that you find our school site useful, informative and interesting. 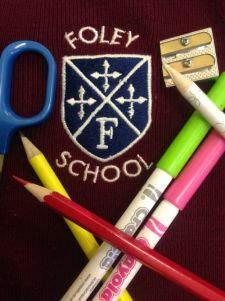 If you would like to come and visit our school please feel free to contact the school on 02837531564 to arrange a visit and to meet the staff between 9.00am and 12.15pm. Our school continues to be a friendly school, with high expectations for all of our children. We are committed to our Catholic ethos and the traditional values of hard work, respect for others, good manners and self-discipline These are essential attributes that we promote at all times within our school. I thank you for your continuing and future support.